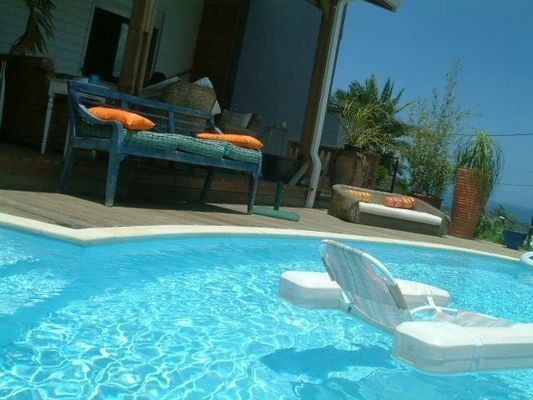 Buddha Case, in L'Etang-Salé-les-Hauts, is a large studio with all modern conveniences in a new villa. It has a separate bedroom with a double bed and a sofa-bed. Equipped to accommodate 2 people, it has a terrace with sea views. Environment / Access : From L'Etang-Salé-les-Hauts town centre, take the street that runs past the church and follow the Chemin Bois de Nèfles to number 62, on the right-hand side.